Just Right Bus: Just Right Blog Subscription! 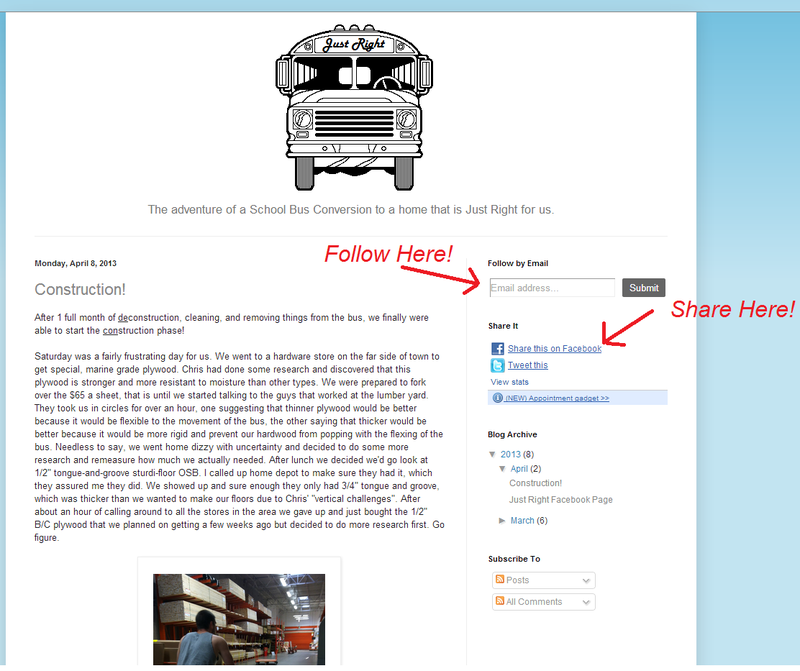 We recently added a follow by email option to the Just Right Bus Blog! To follow, simply type your email into the box in the top right corner of this page and you'll receive an email every time we make a new post! You can also "share" our posts to facebook and twitter. 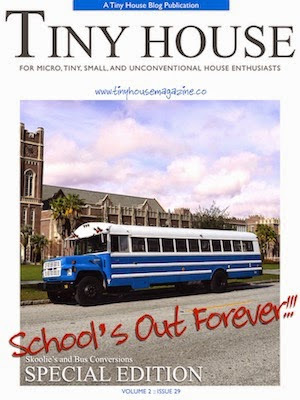 You know, so you can proove to your other friends that you really do know 2 people who want to live in a school bus. Enjoy!